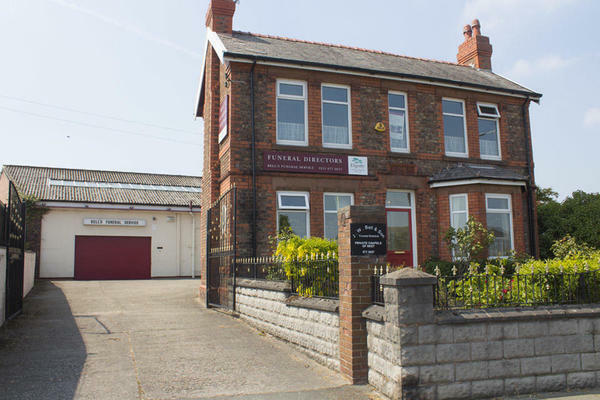 It is with compassion that J W Bell Funeral Directors has served the Wirral with an unrivalled standard of care since the 1920s. We will work with you to understand your every need and gain an insight into your loved one, so we can tailor their funeral to make it truly special. It is our mission to ensure that your loved one’s farewell is personal to the way they lived their life. Using our decades of experience, we have expertise in all types of goodbyes; whether you would like a bright celebration of life, traditional, religious or humanist funeral or a woodland burial. You can choose all aspects of your loved one’s funeral; some of the simpler things you can control is the music, hymns, flowers and type of transport. Whatever your preference, no matter how different, we will try to make it possible. Our funeral directors was founded by Mr Joe Bell, who originally ran a coach tour business before progressing into funeral care. In 1945, our funeral home was bought by Mr Bell, from where he ran his coach tours and funeral business; this is still where we are based today. You can find our funeral home in Moreton on Pasture Road, next to the local shops. We are accessible from all of the Wirral, especially Leasowe, Wallasey, Birkenhead, Meols, Hoylake, Greasby and Frankby. To make sure you feel comfortable, should you ever need to visit, we have recently refurbished our funeral home; so you can cherish your loved one’s goodbye in a relaxed setting. We have a dedicated team on hand day and night to guarantee someone is always ready to help you. Just give us a call if you need advice or have any questions. Call us today on 0151 677 5057 to talk through your personal requirements. At J W Bell Funeral Directors, we understand how special life is with those that you love. For us, every funeral is unique and personal. We have a service to fulfil every wish, with every detail carried out with the same uncompromising quality of care. From a traditional service, to a colourful woodland burial, your options are limitless with our Full Service Funeral. If you have a little more flexibility when it comes to arrangements, then we can provide a Simple Funeral for a lower cost. We are located on Pasture Road in Moreton, close to the local shops. Our staff are available 24 hours a day on 0151 677 5057 if you require our services outside of these hours.